13 Фотоконкурсът „Уики обича Земята“ 2017 започва – очакваме те! 19 A barnstar for you! 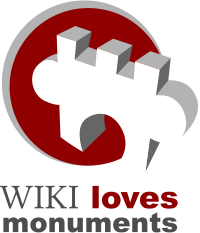 20 Wiki Loves Monuments 2017 is weer begonnen! 69 Can you take a look? Dear Ymblanter. Thank you for the recent modification on Dave Leduc. I would like enquire about the recent deletation of my photographs. If possible I would like to request the undeletation of my work, or the possible re-upload, as it rely suits the article I beleive. I have taken many photos of Dave and his wife over the pas few years, along with almost all Myanmar Lethwei fighters Too Too, Saw Nga Man, Tun Tun Min ect. as I travel to most major Lethwei events around the world. If there was confusion on one of my last pictures taken on August 19th in Yangon Myanmar, I can understand as it was posted on Dave's Facebook page as well. I have given his team access to my coverage of the event, that would explain why it was posted on his Facebook as well. You have deleted the File:Aphrodite Ping Pong.jpg an illustration of the work of artist Silvie Defraoui, that was generously provided by the artist herself, in the frame of a Wikimedia CH event. It has already been deleted twice by users Túrelio and Lomita, and restored after discussion and providing proof of authorship. Do we really need to go through the hassle a third time? Why? I can't really speak as too how quickly other OS respond to their email, if contacted directly.... we mostly talk through the list, but it's not moderated for us. I do try to watch my email on a regular basis (my phone pings at me if I get an email). I'm also pretty much always on IRC unless asleep, and I use an IRCbot to watch edits to my talk page, so most of the time I end up responding to things fairly quickly. Ярослав, о глубокоуважаемый и уважаемый! Не поможете мне? У меня есть такой подопечный, он как бы юзер, но в лицензиях и всем остальном не разбирается. А вклад у него хороший, потому что он архитектор, и из семьи художников -- и грузит отличное свое и предков. Сейчас в очередной раз все выпилили Commons:Deletion requests/Files uploaded by Hitrovka. Я ему оформила страницу User:Hitrovka и написала, что он с наследием своей семьи часть нашего наследия GLAM (а также написала подсказок, как оформлять загруженное впредь). Может быть, вы восстановите все его удаленные файлы (у него еще и в предыдущие года удаляли), а я это все оформлю как надо шаблонами и лицензиями? Спасибо большое. ну вот последняя страница удаления -- она лично мне не нравится. 6 дней всего обсуждение, удалены сканы с книги 19 века, по которым видно было, что они старые, файл File:Певческий переулок. Мичуринский план Москвы.1739.jpg тоже подозреваю выглядел не свежачком, файл Павел Михайлович Аввакумов. 1912-1939.JPG вероятно подпадал под PD-Old, т.е. надо было просто их было просмотреть и оставить многие, переставив лицензию. Так что заявку на этого админа можно было бы обогатить. может, выставить на восстановление пока очевидные PD-RusEmpire и PD-Old, а с гламовскими вещами я буду отдельно возится? (У Хитровки тут просто нервный приступ был, он даже вот ко мне приезжал, я его успокаивала). То есть человек «грузит», однако не разбирается в том, что он делает, и не понимает смысла своих поступков. Отсюда будут многие проблемы. А суды это не гипотетический, а совершенно обычный случай. Вот фирма возьмёт его «загрузку» и поставит в одну книгу, а другая фирма заключит с ним договор на конкретное произведение и поставит в другую книгу. Они будут судиться, другая фирма положит на стол договор, а первая фирма не положит ничего, потому что это самое «грузит» ничем подтвердить будет уже и нельзя. Человека привлекут как третье лицо, и он скажет, что не разбирается в вопросе. File:Купец Клавдий Афанасьевич Кирьяков.jpg - видимо, фотография дореволюционной картины, но нужно знать хоть что-то про картину (например, неизвестный художний 19 века). You have deleted File:Anticom American Eagle Deo Et Patriae logo.png which was another official logo of the Anti-Communist Action, also called Anticom, which was made by their members. I have permission to upload them to Wikipedia as I have made artwork for them and I have asked the owner. You gave me no time to explain myself and you just removed them. I am a Artwork Minister, a staff position in Anticom, who makes logos and artwork for the community. К сожалению не все так считают. Jameslwoodward как минимум нет. Поэтому хотелось бы понять это его личное мнение или оно все таки более распространено. А потом уже перейти к картам. File:Nikolaev commune 2008 stairs 01.jpg has been listed at Commons:Deletion requests so that the community can discuss whether it should be kept or not. We would appreciate it if you could go to voice your opinion about this at its entry. Thanks for the tip about changing pages to show my uploaded pictures. I really appreciate it. Wiki Loves Monuments 2017 is weer begonnen! Wiki Loves Monuments 2017 is vorige week begonnen! Aan deze fotowedstrijd nemen dit jaar 54 landen deel, waaronder bijvoorbeeld Nederland, Groot Brittannië, Thailand, Rusland, Oekraïne, maar ook de eilanden Aruba, Bonaire, Curaçao, Saba, Sint Eustatius en Sint Maarten in de Nederlandse Caribean. Je wordt dus van harte uitgenodigd om te kijken tussen de deelnemende landen of jouw vakantieland er ook bij zit dit jaar en je foto's uit die landen ook te delen! Net als voorgaande jaren hebben we prijzen voor de mooiste foto en de meeste foto's en een keus gemaakt voor een speciale categorie. Heb jij een foto gemaakt van een monument waarvan voor 1 september 2017 nog geen afbeelding op Wikimedia Commons bestond? Dan doet de afbeelding mee in de speciale categorie! Heeft een monument nog geen foto in de monumentenlijst op Wikipedia, dan is het aannemelijk dat we er nog geen foto van hadden. Om het zoeken naar monumenten zonder afbeelding wat makkelijker te maken, kun je op Wikipedia lijsten en een kaart van Nederland vinden. Tot slot nodigen we je nog van harte uit om volgende week met ons op pad te gaan. Op zaterdag 16 september wandelen we tijdens een Wiki Takes rond in Hoorn: op zondag 17 september doen we hetzelfde in Leiden. Onder ervaren gidsen wandelen we langs monumenten in de stad en nemen we ruimschoots de tijd om de monumenten goed op de foto te zetten. Aanmelden verplicht en plaatsen gelimiteerd! Tot en met 30 september heb je de tijd om je foto's up te loaden: de top 10 gaat door naar de internationale wedstrijd, waar de hoofdprijs de nieuwste Canon EOS 5D camera is! Ты удалил фото без обсужения почему? на сайте пишут. Там поня лрасовая неприязнь. Санкт-Петербургский государственный экономический университет. Все права защищены. Поставил ссылочку на ресурс при использование.. Зачем Вы вмешался.. ? Hello again. Haven’t an expertise in side effects of deletion of a Q number – you, a bureaucrat on Wikidata and a sysop here, on Commons. For problems of diagrams and graphs you, a physics professor from Delft, have it neither. What is your expertise then: to restrain militant PoV pushers in wikipedias? Or to clean up excretions of copyright infringers? it is in use the form is asking for the Geo Names ID. This template and pages using it are maintained by the Russian WLM team. you are on this, it is still open,so what is the new identifier ? Hi, I have made a grave mistake it seems by uploading photographs to Wikimedia Commons. Other users tell me my photos are free to be sold and used by others, I did not realise this at the time of upload, I thought my photos were to be available for use but, not resale as this will have a detrimental effect on my business. 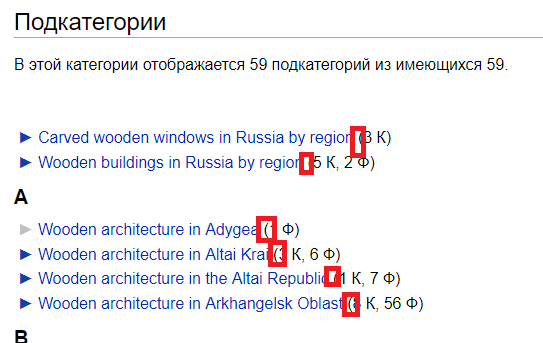 Given I do not really understand the processes of Wikimedia, I would be much happier if you could just delete all my uploaded images from this account please. I welcome your consideration and I apologise for my confusion and misunderstanding. Автор скульптуры не имеет ни малейших прав на неё. Все права принадлежат ФИФА. Администрация Президента получила от ФИФА права на воспроизведение этой скульптуры в свободных изображениях. Пользуясь этими правами, Администрация Президента передала все права на свои изображения вам по лицензии Creative Commons Attribution. Thanks for uploading File:Kuchino platform.jpg. This media is missing permission information. A source is given, but there is no proof that the author or copyright holder agreed to license the file under the given license. Please provide a link to an appropriate webpage with license information, or send an email with copy of a written permission to OTRS (permissions-commons@wikimedia.org). This also applies if you are the author yourself. File:Tiananmen east2st.jpg has been listed at Commons:Deletion requests so that the community can discuss whether it should be kept or not. We would appreciate it if you could go to voice your opinion about this at its entry. Hello! This file was deleted from wikimedia commons due to it being a dervative work! I am the photographer who took the picture of the award plaque. Whatever additional copyright licenses that must be provided to wikimedia commons can be supplied. Please explain what must be done. i took the photo myself in 1994. it belongs to me. The German record label which owns the album cover art displayed in the photo is no longer in existence. if needed i can provide proof of this. also the photo is a fair use image that is in the public domain. it can be easily found online just by searching and is already apart of wikipedia. do the same rules apply to this article on Michael Jackson where his platinum award is shown along with the album cover of his hit album 'thriller' clearly displayed on the award plaque in the photo? Hello, just so you know the deletion request which you closed and deleted the picture. The image is still on there.